Are you looking to build a comfortable sanctuary for your prized turtle or sea reptile? Then you are at the right place. 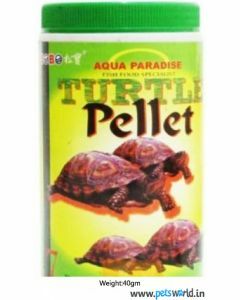 Be it special turtle food or multiple aquarium accessories, you can find these and more at Pets World. 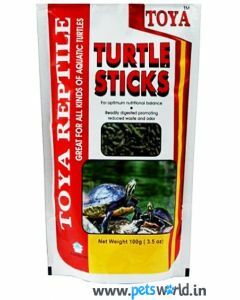 You can easily cater to the exclusive taste preferences of your turtle by choosing any of the food products available on our site.Be it the 40gm SOBO Aqua Paradise Turtle Pellet or the 100gm packet of Toya Turtle Sticks, your turtle is sure to relish the complete meal. The food has crude fibers to aid the digestion process. 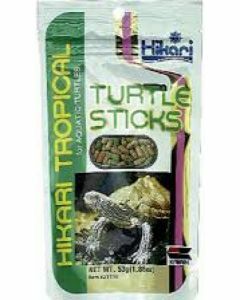 We have a range of food present for turtles, newts, fish, and sea reptiles. In addition to the complete nutrition of the vitamin, fibers, protein, and minerals, these food products also help in providing rich body color and improving digestion. They are designed so that they don’t muddle the water upon submerging. 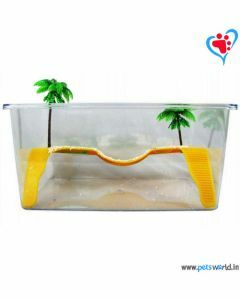 If you are thinking of upgrading the living conditions of your turtle tank, then we have something for you. You can explore products like Dophin TL20 Turtle Ladder and Pets World Hanging Turtle Island for Aquariums. 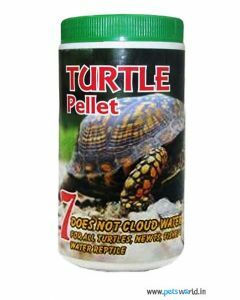 With a well-equipped tank, your turtle can live comfortably and get the necessary UVA/ UVB light and enable vitamin D3 production to metabolize and absorb calcium needed for development and growth.